Arc segment motor magnet has advantages of easy manufacture and low cost compared with radial ring magnets. It’s still the most common motor magnet shape, especially for PM DC motor and magnet rotor. As we all know, permanent Magnet is the core of PM motor. In order to ensure the steadily electrical performance and long-term safe and reliable operation of electric vehicles, it requires the magnetic property of permanent magnet material remains stable. Considering magnetic performance influenced by the work environment, temperature and time, the reliability of permanent motor magnets can be divided into thermal stability, time stability, chemical stability, and magnetic stability. 2. Chemical stability refers to the anti-oxidation and corrosion-resistant of permanent magnet material. Compared with the traditional ferrite or samarium cobalt (Smco) or alnico magnets, the chemical stability of sintered NdFeB magnet is the worst. Currently, the primarily solution is adding some alloy elements such as Co, Ni, Al and Cr, etc., while in the sintering process, increasing the density and reducing the porosity of magnetic material. Another approach is made certain magnet surface treatment such as electroplating. This can obtain a practical corrosion resistance for the magnet. 3. Time stability is putting the permanent magnet at a certain temperature for a long time, observing the change of its magnetic properties over time. 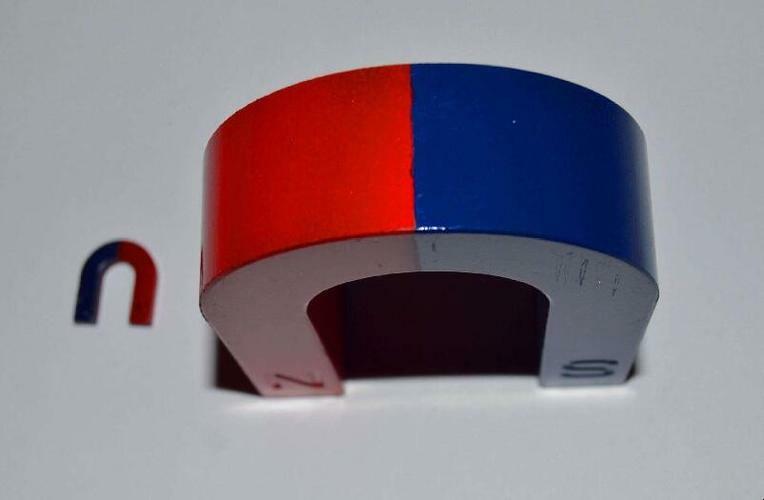 These NdFeB permanent magnets added Co + Dy + Nb will obtain better time stability. 4. Magnetic stability is based on the magnetic material, and also affected by temperature, time, external magnetic field, chemical corrosion, radiation, mechanical vibration or shock and other factors. How to choose motor segment material? For traditional AC motor, ferrite and AlNiCo segment magnets are most applied. With the higher request on motor power, more and more motor manufacturers use ndfeb and smco magnet which have super high magnetic energy product. However, they are more expensive because neodymium magnet and samarium cobalt magnet segments belong to rare earth magnet. How to join neodymium arc magnets, which are diameter magnetized, to create a cylindrical ring that is radially magnetized? The general approach is to make a sleeve or frame to put neo arc magnets in that will keep them in order and don’t jump around. The sleeve here has to be made of something sturdy and nonmagnetic, such as aluminum, copper or Q235 low carbon steel. Due to a strong repelling force, it’s better to operate by those experienced workers. If you are the first time to assemble segment magnets, just be careful. Halbach array magnets also utilize a frame or other tools to overcome the strong magnetic repulsive force between the same pole sides of two magnets and keep them fixing together.